Reading went top of Women's Super League Two with a 2-0 win at Everton. 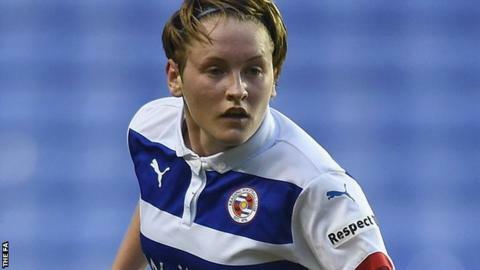 The result saw Reading leapfrog title rivals Doncaster Rovers Belles, with one round of matches remaining. The Royals and the Belles, who are both already promoted, are now level on points - but Reading have a superior goal difference. Rachel Rowe put Reading ahead at third-placed Everton from the edge of the area, before Helen Ward lobbed the goalkeeper to secure the points.